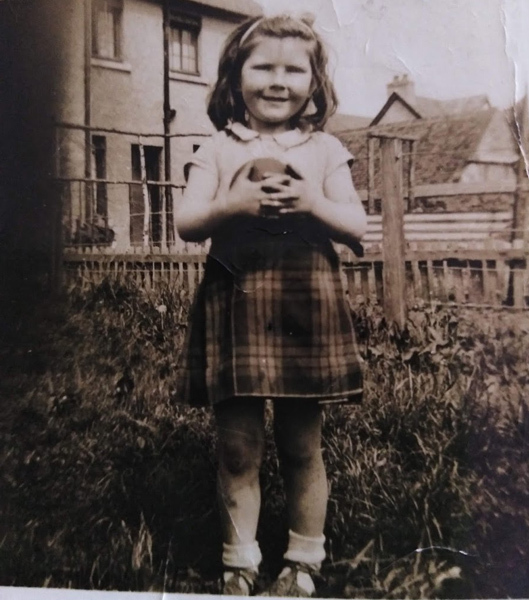 My mam Kathleen at the back of our house in Outram Street. The picture was taken sometime in the 1950s. I remember Kathleen fondly. You can see Catherine clark's (Mackenzie) swing. Unfortunately Catherine has passed away and wont see it, we discussed it many times. Kathleen's mother Mrs Ross died at an early age, it was hard for them. Everyone living in this row of houses got along splendidly.